If you’ve ever wondered how an e-mail opt-in can optimize your newsletter list consider this: email opt-ins are to newsletter lists as Facebook is to social circles. That is to say that they support everything you’re already doing but improve the process by extending your overall reach. 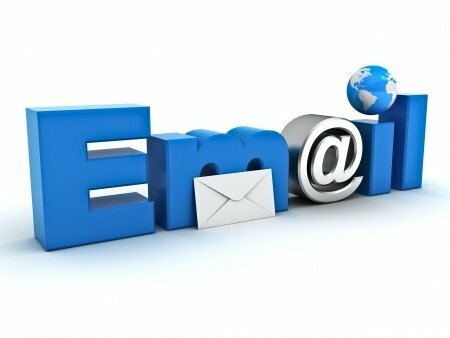 Email marketing, and online marketing for that matter, is all about numbers. High numbers mean more conversions, so your goal should be to have as many high-quality subscribers as possible. When we say high-quality we mean subscribers who are genuinely interested in your content and will actually read your newsletter, and possibly act upon in. High-quality subscribers mean a list that is grown organically, and not purchased. The only way to grow a list organically is to create an email opt-in strategy on your website and social media platforms. Money. Revenue. Do we have your attention? High-quality newsletter subscribers means increased revenue. This isn’t just whistling Dixie either, as each member of your email newsletter list is worth about $1 per month to your bottom line. So, if you were to double your list via an email opt-in on your website and social networks from 1,000 to 2,000 you would double your monthly newsletter-based profits from $1,000 to $2,000 dollars. Of course this only applies when subscribers opt-in and as such are genuinely interested in your content/products/services. ·Companies with a high-converting email list don’t want their newsletters drowned out by other marketers. ·No consumer voluntarily subscribes to an email-marketing list, and therefore is likely not interested in what you have to say, or offer. ·You damage your IP reputation, and therefore email deliverability rates, by purchasing lists as they have higher bounce rates, unsubscribe rates and spam-filtering rates—all of which can put you on the ‘shady’ IP list. Sold on organically growing your email-marketing list by improving your list with genuinely-interested users who opt-in to your newsletter? Call or email us and we can show you exactly how we can grow your list, widen your reach and skyrocket your conversions. This entry was posted in Online Marketing and tagged on August 20, 2013 by ReferLinks Online Marketing.